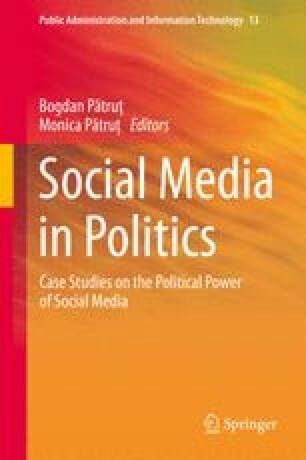 The issue of the Facebook social network and its contribution to political and civil action has been discussed in many academic works over the last few years. We seek to contribute our share to this discussion in two ways: (a) by employing the public opinion formation model suggested by Gabriel as a tool to examine the role of the Facebook social network in widening the participation circle of social protests and (b) by giving evidence as to how Facebook functioned in the public atmosphere of protest (the summer protests in Israel 2011–2012)—among Israeli Jewish teenage girls of no political-civil action background. During those years and over long weeks, the streets of Israel were teeming with demonstrators, while mass media raised the protest issue to the top of public agenda, branding the social networks, and specially Facebook, as the ultimate platform for social change. Gabriel Tarde observed that “information”, “conversation” and “opinion” were milestones, partaking in the shaping and burgeoning process of public opinion. This model allows posing three questions pertaining to the internet function: (a) is the information streamed through it conducive to political and civil activism? ; (b) What is the political role of the online conversation? ; (c) Does online activism prompt to action on the streets? The conversations with the teenage girls (aged 12–18) about this topic are part of a wider project that looked into the Facebook social network from different perspectives of identity politics: gender, nationality and age. Indeed, the Zionist mythology ties the inception of the Jewish state with political and civil action by young people, yet surveys performed in Israel reveal that Israeli youth is not inclined to take civil action. The prolific use of the social network by this youth, in general, and by the teenage girls interviewed, in particular, as well as the public atmosphere at the time of the study, inspired a revisit of this virtual platform; we wanted to look into its abilities to empower and change participation patterns among this sector of population, prompting it into political and civil activism. The authors wish to express their gratitude to the Research Authority of the College of Management Academic Studies, Rishon LeZion, Israel, for their financial support of this research.